I receive lots of coupons. Mostly I get them in the mail. It bothers me a little that the store knows exactly what I always purchase and then sends me coupons that match. A quick glance tells me I like hot dogs, ice cream and goldfish crackers. And a coupon for my favorite brand of tampons. I don’t think my husband even knows what my favorite brand of tampons is. But my local grocery store does. So I am a bit embarrassed that they know this much. And I just can’t manage all the paper. Between the receipt, the coupons, the store flyer and all the small print – there is just too much. It all gets stuffed into my purse where it will remain until well after any expiration date. I especially dislike the coupon that says: “Buy 8 of these and we’ll give you a coupon for $3.00 off your next order!” First of all, if there is a quantity more than one, I’ll probably pass. Except for frozen pizza. I have a 19-year-old son at home. Frozen pizza is main food group for him. The problem is that this offer just smacks of a long term relationship. First of all, I have to remember to purchase the exact product and quantity and then remember to bring back the coupon I receive the next time I go grocery shopping. I would never remember all that. I never look at price, I never return anything and I definitely buy off the manufacturers marketing plan for my demographic group. (This explains the goldfish crackers). 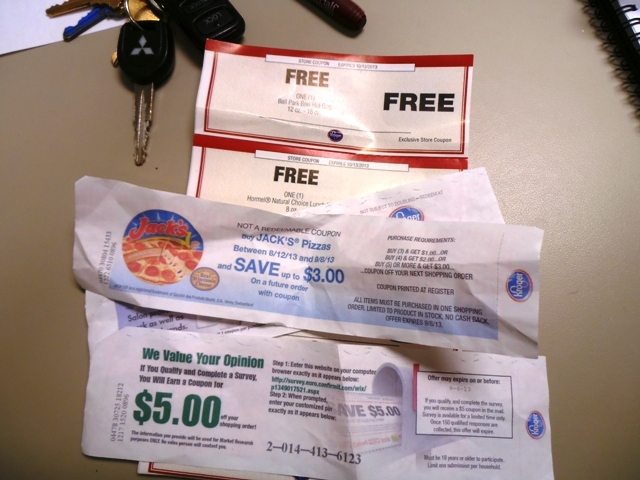 But after all is said and done, I guess my real question is where the hell are my beer coupons? 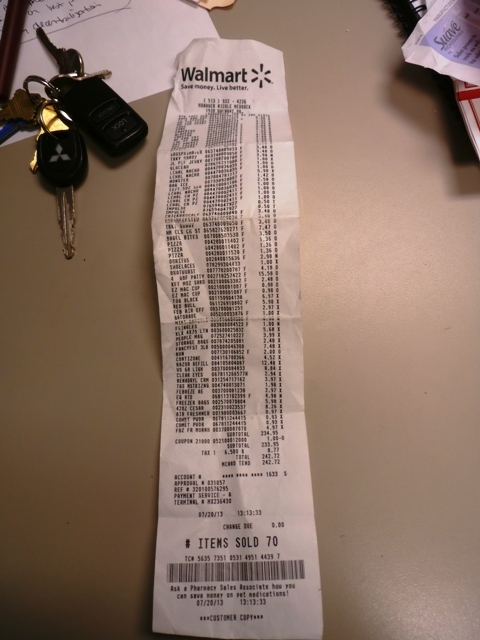 This entry was posted in Uncategorized and tagged coupons, expiration date, food shopping, receipt. Bookmark the permalink.